Nina Garcia transformed ELLE from the second she got her feet under the desk at Hearst Tower. Since replacing the long-serving Robbie Myers, Garcia has secured the likes of Margot Robbie, Angelina Jolie, Kim Kardashian, Kendall Jenner, Nicki Minaj, Ariana Grande and Selena Gomez as cover girls under her tenure and now closes out 2018 with none other than Michelle Obama. A total treat for December 2018, the former first lady is all smiles for photographer Miller Mobley in the refreshing newsstand cover image (below), looking like she’s having a blast in a swirling look from Christian Dior’s Cruise 2019 collection, styled by her very own Meredith Koop. Despite the magazine’s huge scoop, a select few of our forum members weren’t here for it. “I don’t like the styling. Way too generic for a fashion magazine like ELLE. Michelle actually loves fashion, so I’m sure she’d have been up for more daring yet sophisticated looks,” Benn98 critiqued. “This photoshoot and September were the biggest disappointments of the year. I love Michelle, I love Emma but ELLE could’ve done better,” noted jorgepalomo. Not everyone was disappointed by the outcome. 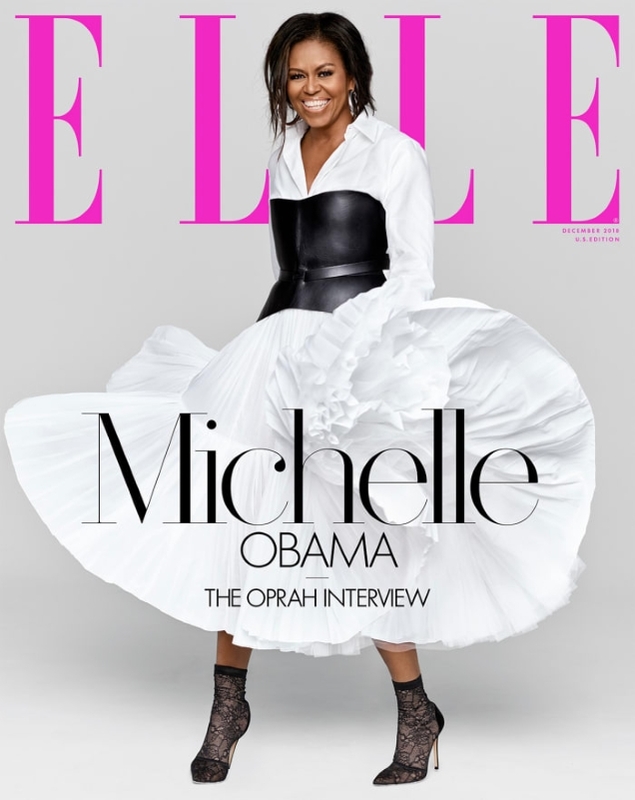 “I think Michelle looks amazing on the cover – really beautiful. She’s rarely been photographed in free movement and so relaxed. I also like that they kept the clothes and color palette simple, although we know how well Michelle wears all sorts of patterns and colors,” commented sweetpop. A missed opportunity for ELLE or a total hit? Check out Michelle’s cover feature and join the conversation here.